Three psychology professors at Dartmouth College are the subjects of a criminal investigation following reports of alleged sexual misconduct, authorities said Tuesday. In a statement posted to the university’s website Tuesday, the college confirmed that professors Todd Heatherton, Bill Kelley, and Paul Whalen were under investigation. All three teach in the college’s Department of Psychology and Brain Sciences. 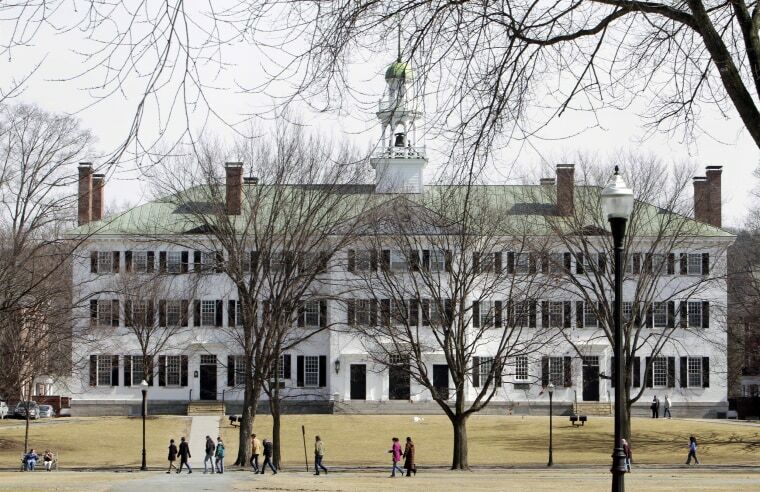 The professors have been put on paid leave with restricted access to Dartmouth property, the school said. When reporters questioned university officials, they were informed that all three men had been placed on leave pending the outcome of a university investigation. On Tuesday, Dartmouth College President Phil Hanlon told students in an email that the school was taking the allegations seriously. “It is important to remember that investigations are ongoing, with no official findings yet produced. However, we take these allegations very seriously and are pursuing our own independent investigations in coordination with law enforcement officials,” he wrote. The investigation places MacDonald, who graduated from Dartmouth in 1983, at the head of a criminal investigation into his alma mater. Heatherton is the director for the Dartmouth Center for Social Brain Sciences and conducts research into social neuroscience, as well as addiction. Kelley's research focus is on memory and self-regulation, while Whalen studies emotion and facial expressions.